Do you feel that warm weather? Spring is here and that means Summer is just around the corner. With the warmer temperatures comes a plethora of fresh fruit. 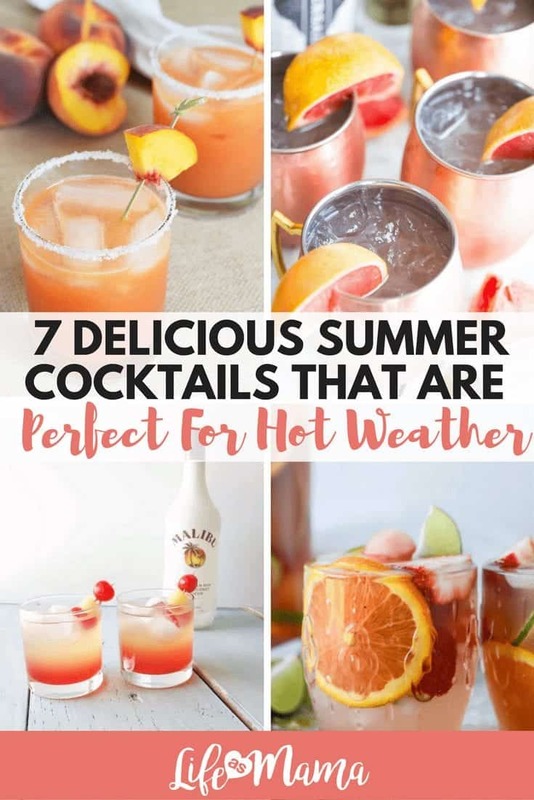 So what else to do of with all those sweet flavors then to enjoy some Summer-themed cocktails while you soak up the sun. Each one of these sound amazing, and all of them are surprisingly easy to make. 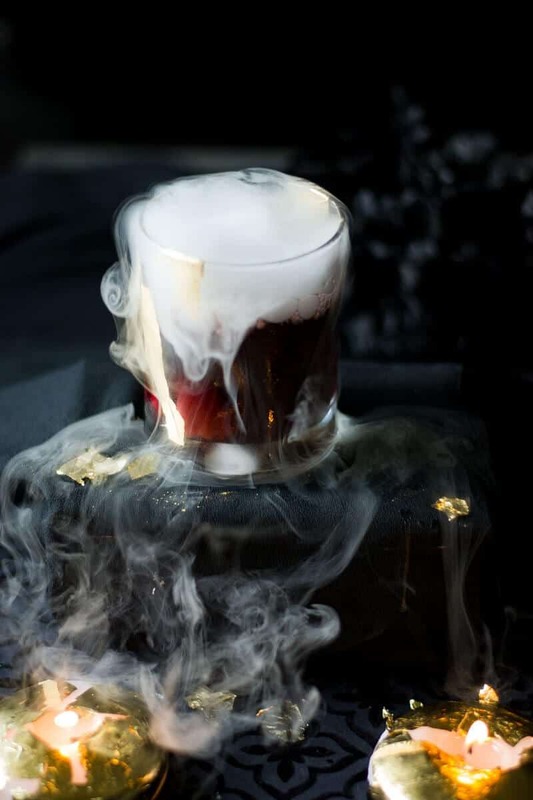 This stunning layered cocktail not only looks amazing, but tastes incredible too. With just a couple of ingredients you can throw some of these together for a Summer party in no time at all. 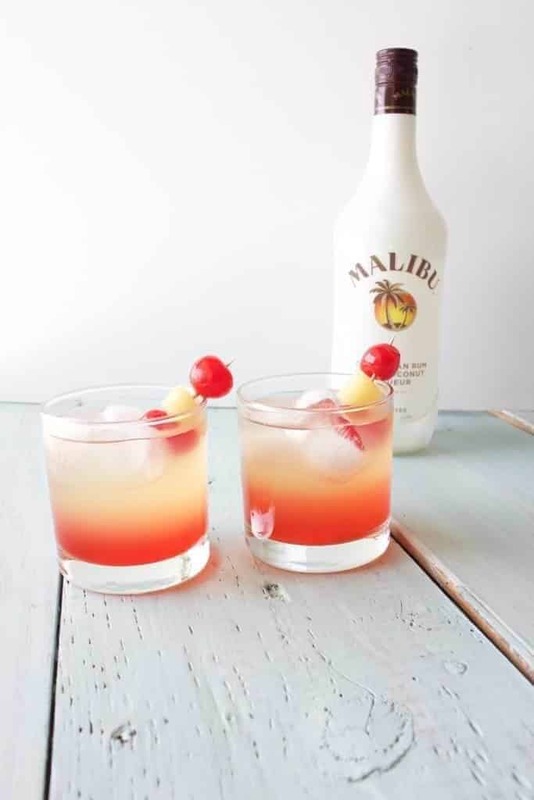 The pineapple and cherry garnish gives it the perfect party flair. 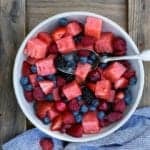 Homemade Food Junkie has healthy recipes, gardening tips and DIY ideas. Summer time means watermelon, and lots of it. This drink gives the traditional Mojito a fun twist with a fresh sweet taste. 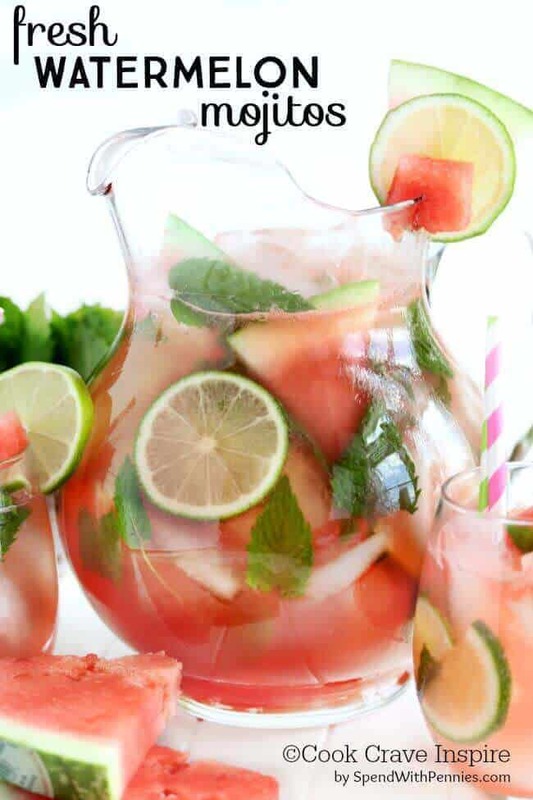 The base is a white rum, then add your mint, blended watermelon, fresh lime juice and top with soda. If you need some extra sweetness you can also add some homemade simple syrup. Not only does Spend With Pennies have a whole bunch of delicious and comforting recipes its also packed full of tips and tricks for every other area of your life. 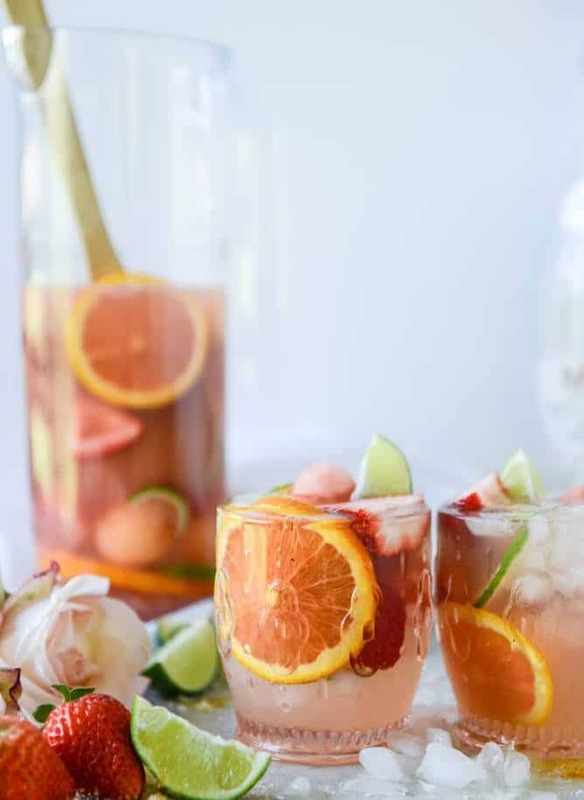 The best part of Sangria is that you can make it whatever you want. Throw whatever fruit you have around, mix it with a bottle of wine and, hey presto, you’ve got sangria. 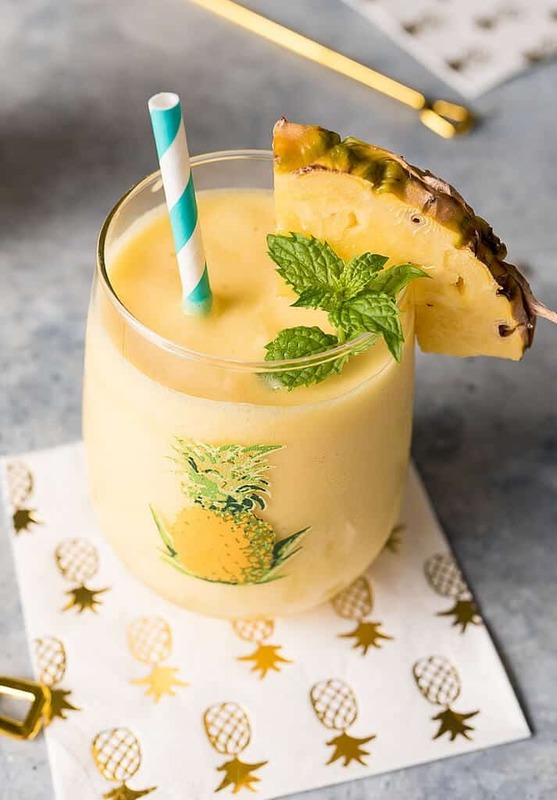 But if you want to make this particularly delicious and fruity delight, then check out the directions over at How Sweet It Is. Check out How Sweet It Is for everything from healthy foods to indulgent desserts. Because it’s all about balance, right? 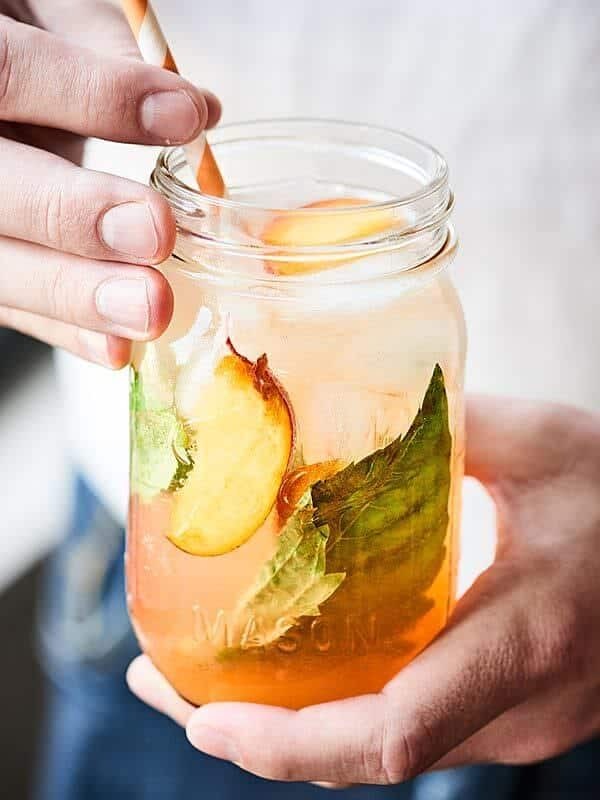 Peaches are the soft Summer flavor I dream of all through the Winter months. And well, I never need an occasion for Margaritas. Combine these two flavors and you have a winner in my book. 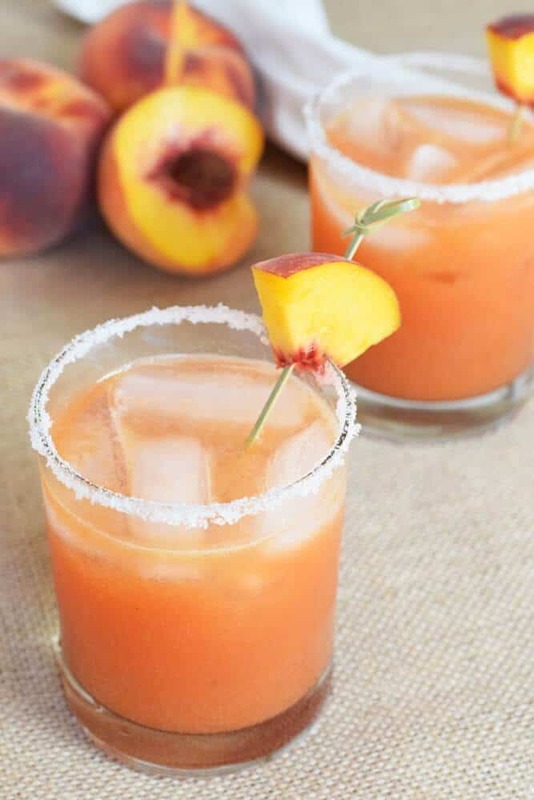 Simply blend the pealed peaches, tequila, lime juice and honey in a blender until smooth. Pour into glass and top with your choice of sparkling water, then, enjoy! 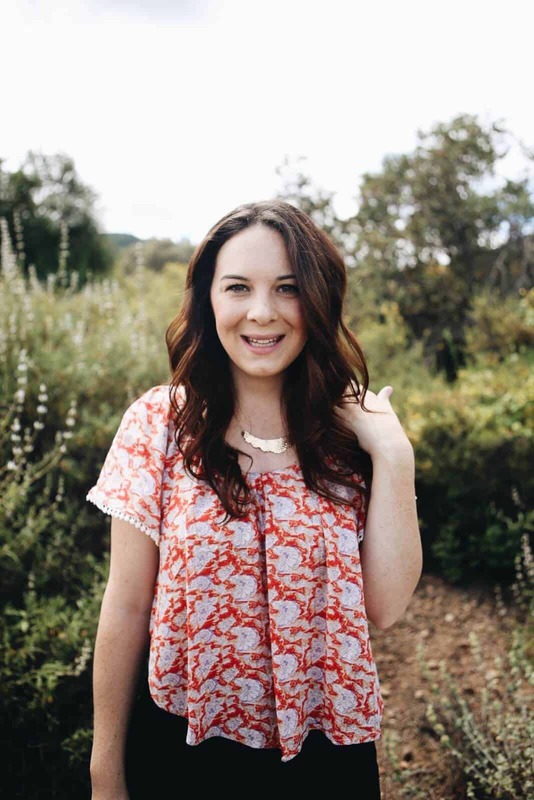 For clean eats and healthy living tips head over to Living Loving Paleo. 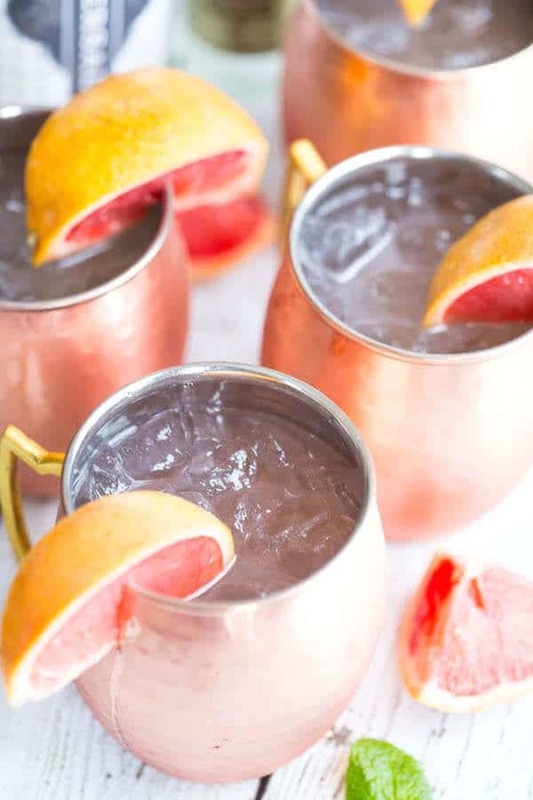 Moscow Mules are a very easy cocktail to make, and easy to keep all the ingredients on hand to make. 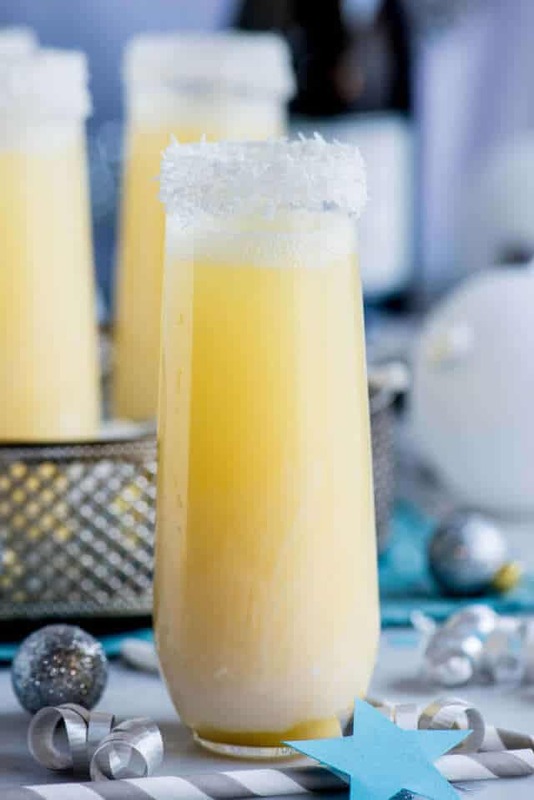 This Summer edition is just a simple swap of lime juice for grapefruit and you have a whole new drink to add to your Summer list. Doesn’t it sound perfectly refreshing? Greens & Chocolate has both healthy recipes and plenty of chocolate indulgence to bring just the right amount of balance to your kitchen. 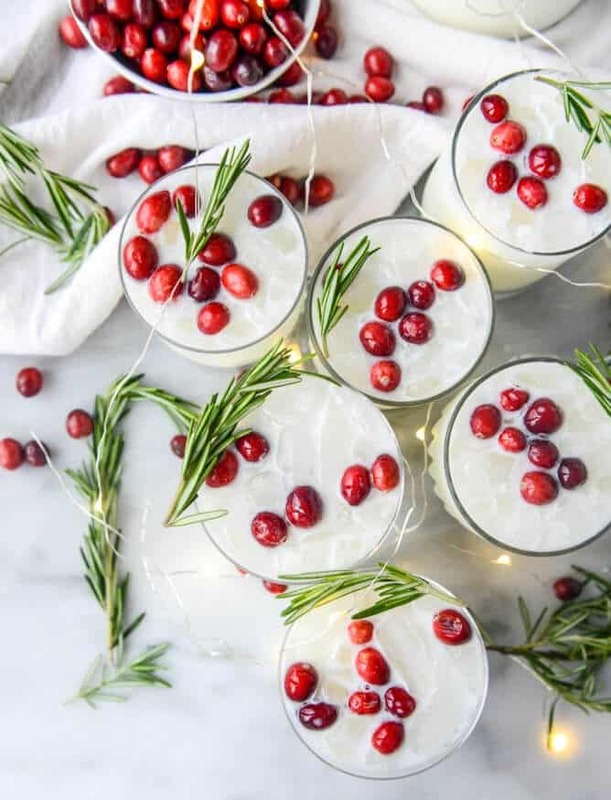 How gorgeous are these cocktails. And yes, those are edible flowers. 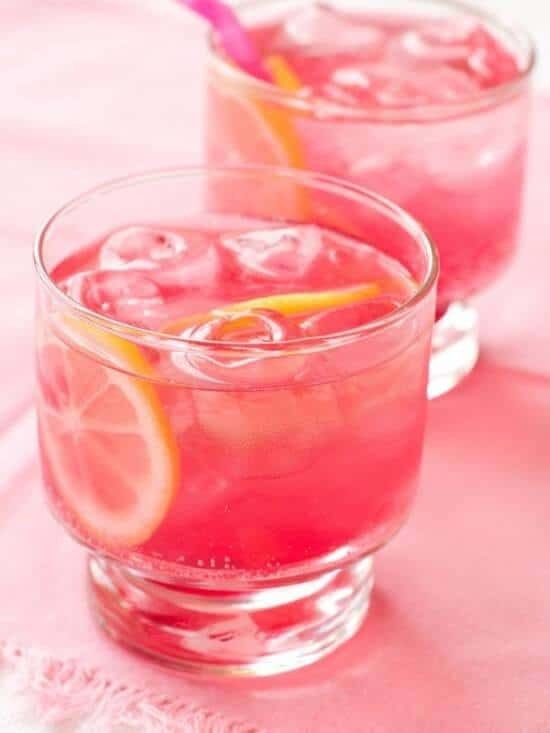 You can make this yummy drink without the flower garnish, but it certainly adds a pretty element to the drink. 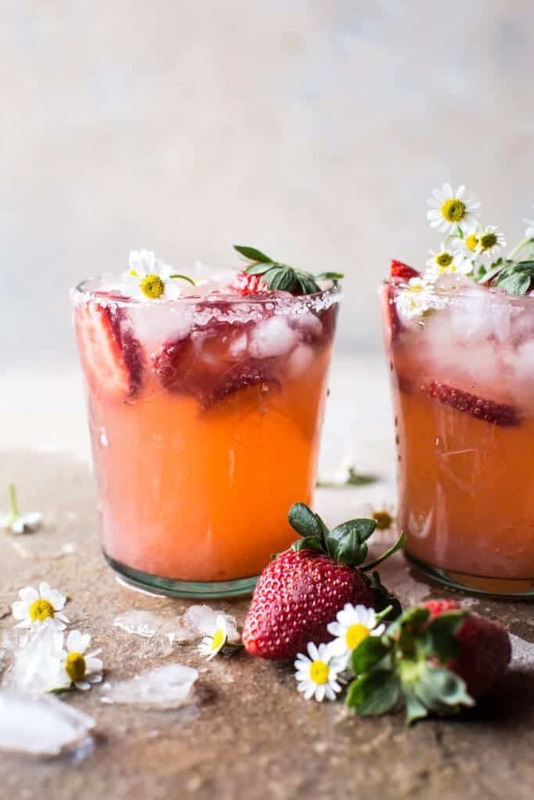 This Paloma has a sweet twist on the original with the addition of strawberries and homemade chamomile syrup. Sounds delightful! 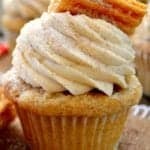 For more homemade and wholesome recipes head over to Half Baked Harvest. 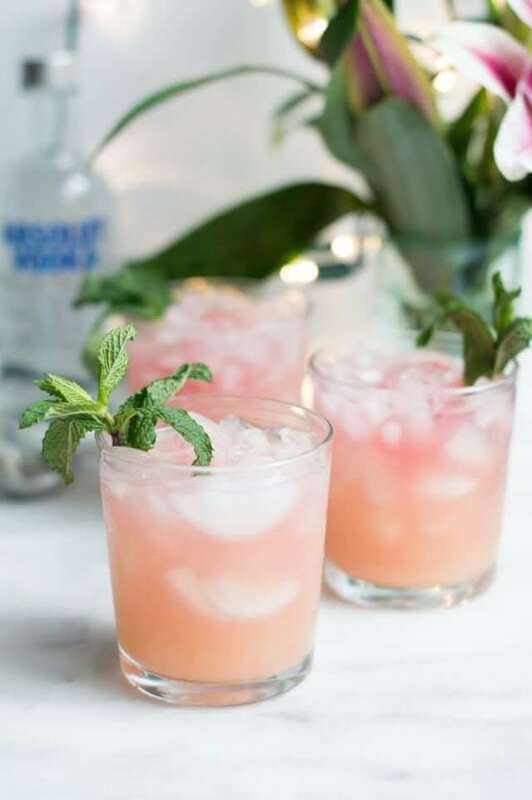 During the summer my fridge is always stocked full of fresh lemonade, so whipping up a batch of these pink and zesty beverages would be no trouble at all. A perfect treat to sip pool side on a hot day. Head over to The Whoot for a round up of great recipes, crafts, DIY’s and more!